We have high-tech in-house amenities available to make sure that the range of products we offer are kept safe till final delivery. Our team experts ensure that the warehouse is free from moisture, rainwater, sunlight, etc. Situated in Sialkot(Pakistan), ours is the name reckoned for providing quality products at competitive price. 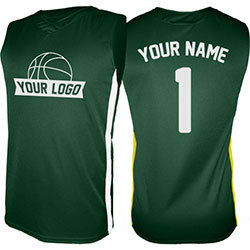 WB-1503 Basketball Jersey is made of the finest quality fabric and is available in different color options.